Craving lush landscapes but your next getaway is too far away on the calendar? We’ve got you covered with these vivid travel films. Pop some popcorn, blend those margaritas, and settle in for a cinematic adventure to satisfy your inner wanderlust. 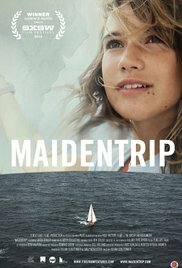 This documentary features the 14-year-old Dutch schoolgirl, Laura Dekkers, who sets out to become the youngest person to sail solo around the world. On her two-year journey, she sails through the Canary Islands, the Panama Canal, and French Polynesia in an empowering coming-of-age tale. This inspiring documentary tells a story of self-sufficiency, albeit with dolphins and crystal-blue waves, and will have you spellbound and dreaming of your next nautical adventure. 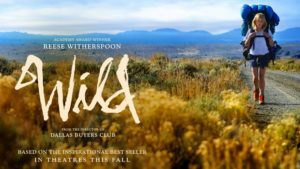 Starring Reese Witherspoon, this film about a woman’s journey of self-discovery is based on the 2012 spiritual memoir by Cheryl Strayed. After enduring personal challenges and loss, the story follows Cheryl, a woman who has no hiking experience and yearns to put her life back together again, as she embarks on a 1,100 mile solo hike along the Pacific Crest Trail. Emotional, yet an inspiring narrative about survival, the film lends an awe-inspiring story to captivating backdrops of the Mojave Desert and the Cascades. Your inner traveler might just desire a solo trip after this moving film. 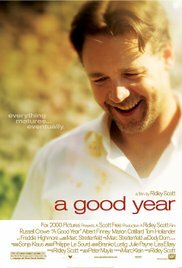 London banker Max Skinner (Russell Crowe) who is down on his luck inherits his uncle’s vineyard in stunning Provence, where he spent many a childhood vacation. Once there, he meets a Californian woman, Christie Roberts (Abbie Cornish), who tells him she is his long-lost cousin. As Max tries to renovate the estate, he discovers romance and a newly-found laid-back lifestyle. This feel-good movie celebrates the gorgeous scenery, food, and wine of luscious France and will remind you to stop and smell the flowers once in a while. After spending a few hours whisked away on these visual adventures, we’ll bet you feel like you had an escape of your own. Now when you’re cooped up at the office this week, you can just close your eyes and picture these scenes to take you away again.